Looking for all the new info on a 2019 Jeep Renegade? Well, look no further than this article because we have that and all of its continuing features and capabilities outlined for you to get a quick and thorough sense of it! For starters, there are new items like active grille shutters, angled bottom-front fascias, aluminum wheel designs, and instrument cluster graphics! Also new is the grille surround style, revamps of both the LED Lighting Group & the Advanced Tech Group, as well as colors like Slate Blue, Bikini, and Sting Grey for the exterior. 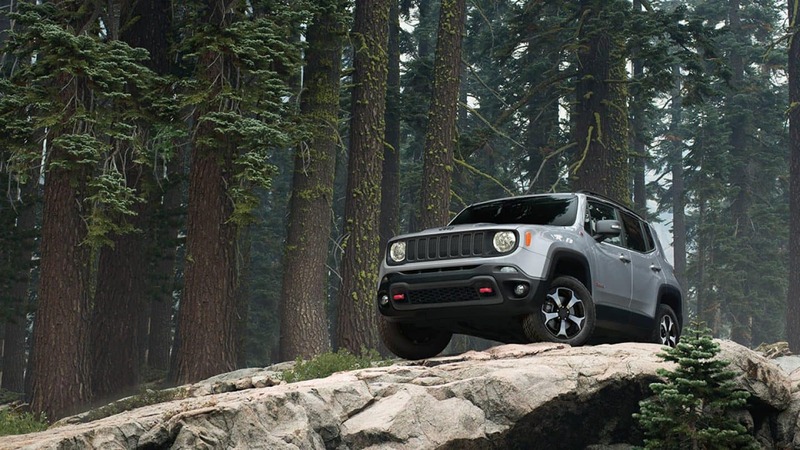 The big new addition, however, is that the 2019 Renegade introduces an elective engine with a stop-start system and a fully re-developed nine-speed automatic transmission! 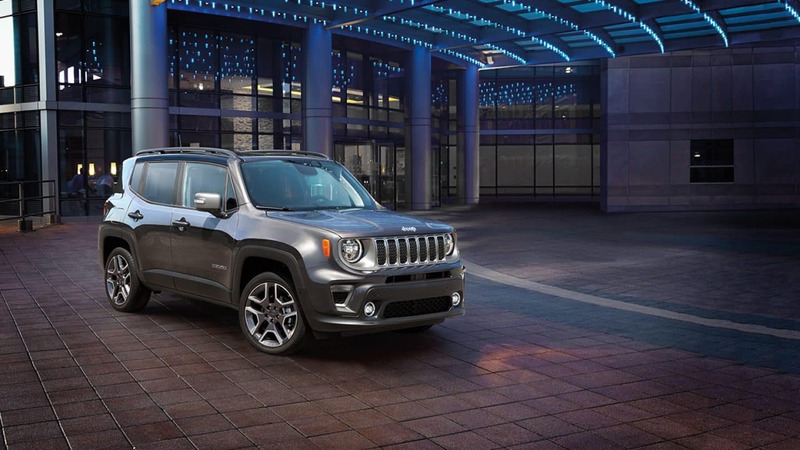 The 2019 Renegade is ready to be your solid daily-driver around town, especially with up to 32-mpg in the 4x2, 9-speed automatic configuration. Then again, maybe you want the confidence to not have to be pulled out of the muddy ditch whenever Mother Nature decides to flood your world, in which case we recommend hopping into the Trail Rated Trailhawk model! Will you talk about the power inside the 2019 Renegade? A 2.4L MultiAir inline-four engine wields 180-horsepower and 175 pound-feet of torque, and powers the Sport and Latitude models as standard. The new 1.3-liter MultiAir Turbo engine is enhanced with Engine Stop/Start Tech, attains 177-hp and 200 lb-ft of torque, and partners with a thoroughly revised (from the prior year) 9-speed automatic transmission. The 1.3L engine is standard on Limited and Trailhawk models and available on the Sport and Latitude models. 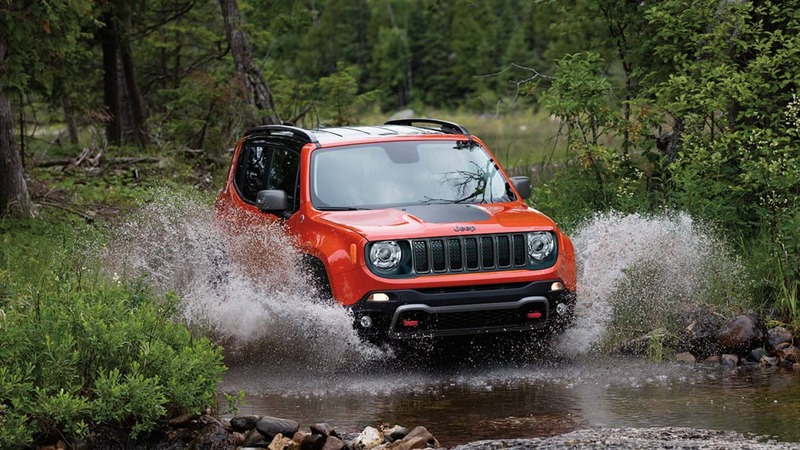 The Renegade has the opportunity to be either front- or all-wheel drive, with the exception of the exceptional Trailhawk model being AWD by design. AWD will operate both axles or remove power to the back axle (as needed) to become more frugal on fuel when highway driving. With the available Trailer Tow Group, expect to achieve a towing capacity of up to 2,000-pounds! Would you mind outlining the Renegade vehicle's models and features? This vehicle is one of the elite, with best-in-class approach & departure angles intended to get you best-in-class off-road capability. That said, let's go through some of the other reasons why to get a Renegade, and let's do so by model! Look around our lot and you will find the Sport, Latitude, Limited, and Trailhawk versions of the Renegade, and you may even find the Altitude & High Altitude models there too! 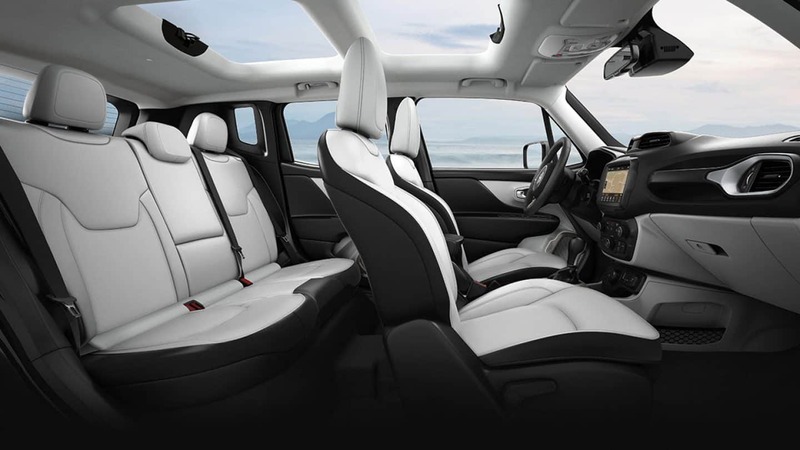 On the Sport model, look for amenities such as a Uconnect 3 system with a 5" touchscreen, the available open-air My Sky dual-pane panoramic sunroof, and even steering wheel-mounted controls for audio, Voice Command, and Speed Control. 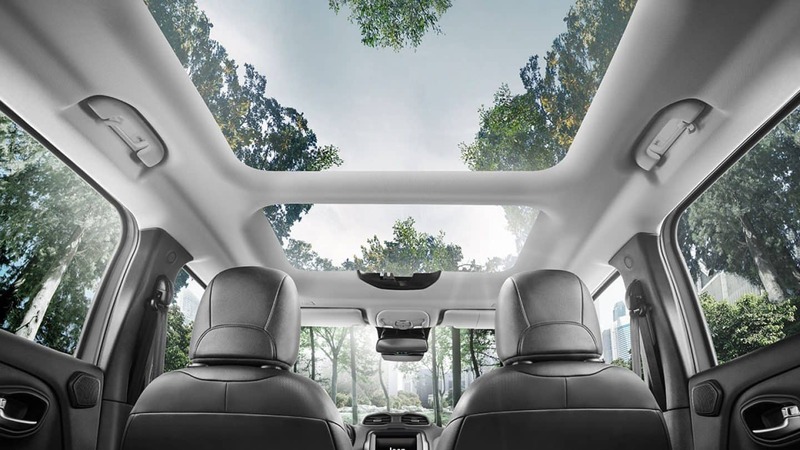 On to the Latitude with its new-for-2019 seventeen- or 19-inch aluminum wheel designs, Apple CarPlay/Android Auto integration via the Uconnect 4 (on a 7" touchscreen), the My Sky dual-pane panoramic sunroof, and a premium-wrap on the steering wheel. The Limited model steps up the indulgence with accommodations like heated leather-trimmed front seats, options for the new 19-inch aluminum Granite Crystal-painted wheels, navigation functionality in the form of the Uconnect 4C NAV which displays on an 8.4 touchscreen, My Sky dual-pane panoramic sunroof, and as mentioned before, the 1.3L engine standard! The Trailhawk also shares that engine, but brings in elements such as 17" aluminum wheels with off-road tires, the Rock Mode added into the Selec-Terrain Traction Management System's modes and accesses the new LED Lighting Group too. That Group is composed of LED DRLs, LED taillights, fog lights, and Bifunctional Projector Headlamps. 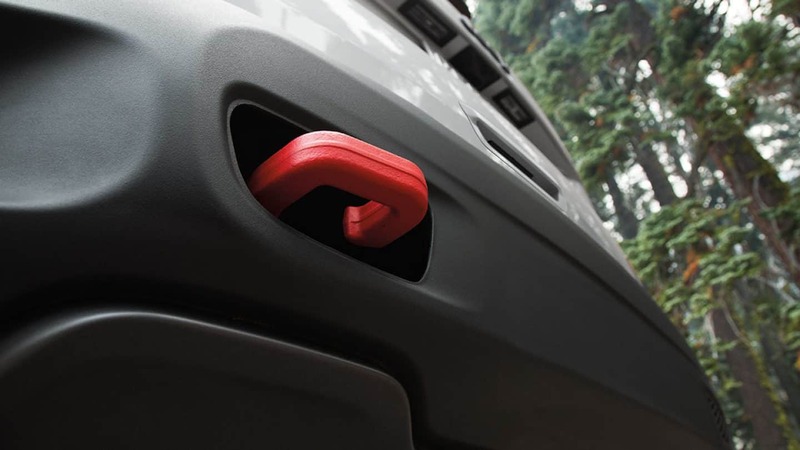 The Renegade, in general, has 18.5 cubic feet of cargo space following the back seats and then expands to 50.8 cubic feet with them folded down! The rear seats all fold flat as either 60/40 split or a 40/20/40 split, and there is even a folding front passenger seat for longer items like lumber, surfboards, or that beach umbrella you (smartly) don't trust to tie down on the outside! Can you expand on the off-roading abilities of this vehicle? The available Selec-Terrain Traction Management System has up to five settings, Auto, Snow, Sand, Mud, and Rock on the Trailhawk. On top of that system, there is a dual choice of 4x4 systems: Jeep Active Drive and Jeep Active Drive Low. Functionality like Hill Descent Control, raised ground clearance, precision maneuverability, a surprising range of up/down wheel articulation, and even the ability to traverse confidently through watery, backwoods trails show that the Renegade is a true warrior of the off-road variety! For instance, the Trailhawk has standard Jeep Active Drive Low with 8.7" of ground clearance, an enhanced 21:1 crawl ratio, skid plates, trademark red front & rear tow hooks, up to 8.1" of wheel articulation, up to 19" in height of water fording, and up to 2,000-lbs of towing capacity! 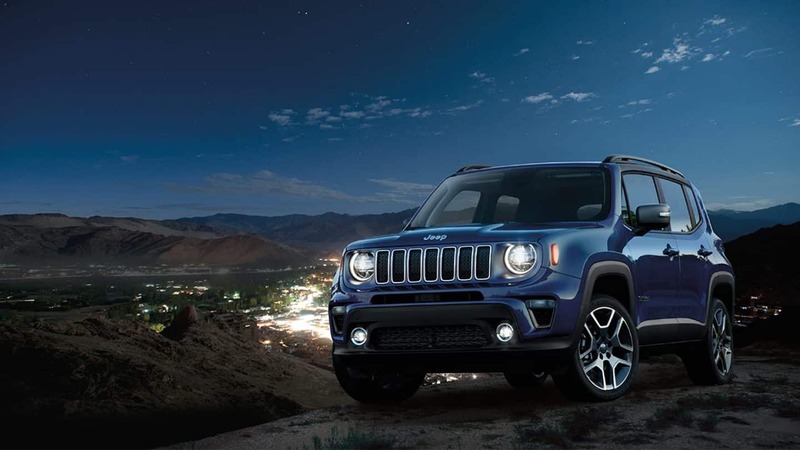 The Renegade can also become a 50-foot wide high-powered 4G Wi-Fi Hotspot for up to 8-devices! On a similar tech point, look for HD Radio, SiriusXM Radio & SiriusGuardian (with subscriptions), and an elective BeatsAudio premium sound system that blasts on 8-speakers and a subwoofer. 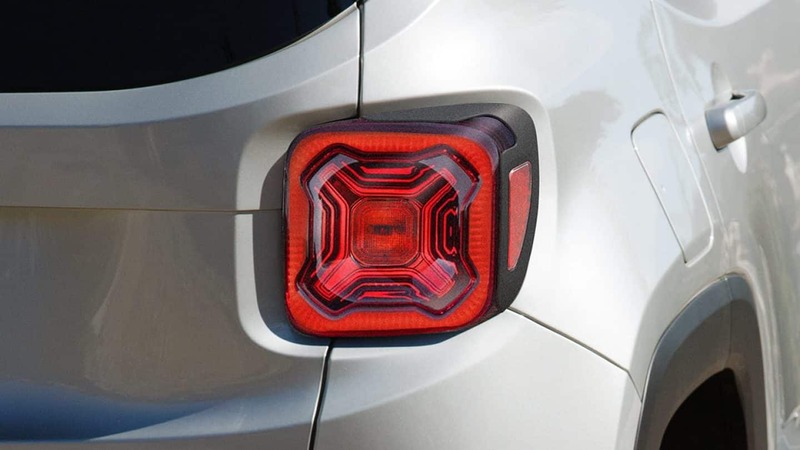 Jeep Renegade is ready with up to 70 safety/security additions, comprised of an available Full-Speed Forward Collision Warning-Plus, LaneSense Departure Warning-Plus with Lane Keep Assist, Blind Spot Monitoring system. There is also a standard ParkView Rear Back-Up Camera, available Adaptive Cruise Control with Stop, seven standard airbags, and advanced high-strength steel forming the chassis! There is in addition to that an Advanced Tech Group that contains adaptive cruise control, ParkSense Parallel/Perpendicular Park Assist Plus and, via front park sensors, provides visual and/or auditory signals of insufficient distance between objects and the front fascia when moving forward. All of this is in conjunction with available Automatic High-Beam Headlamps, a rain-sensing windshield wiper system, and the Uconnect Roadside Assistance! 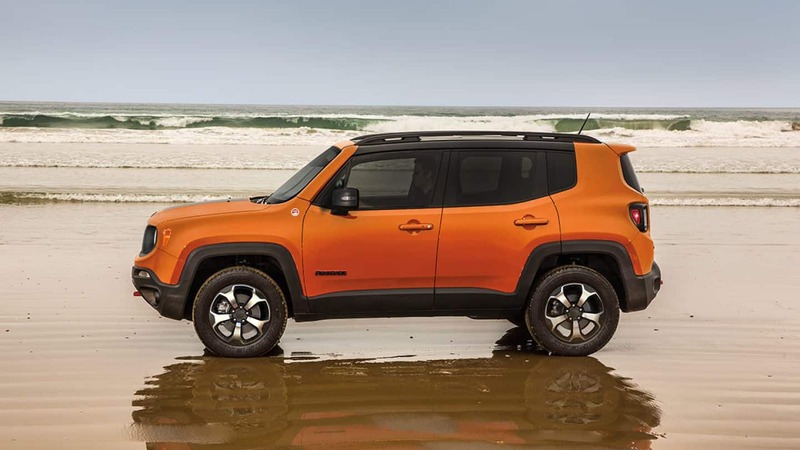 Suffice to say, the 2019 Renegade ironically conforms in this department with most modern vehicles: It's fully packed with safety features! 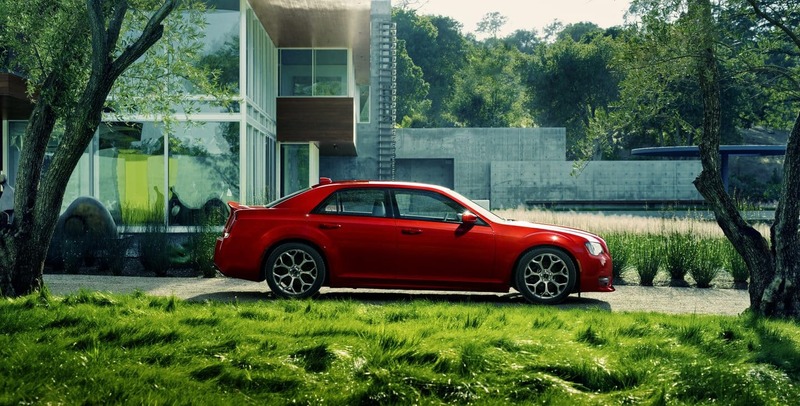 Lustine Chrysler Dodge Jeep Ram in Woodbridge, VA treats the needs of each individual customer with paramount concern. We know that you have high expectations, and as a car dealer we enjoy the challenge of meeting and exceeding those standards each and every time. Allow us to demonstrate our commitment to excellence! Our experienced sales staff is eager to share its knowledge and enthusiasm with you. We encourage you to browse our online inventory, schedule a test drive and investigate financing options. You can also request more information about a vehicle using our online form or by calling (703) 496-4296.